This stairway illustrates the flexibility and customization abilities of StairSupplies™. This customer used two goosenecks to make the turn on the stairway look easy and seamless. 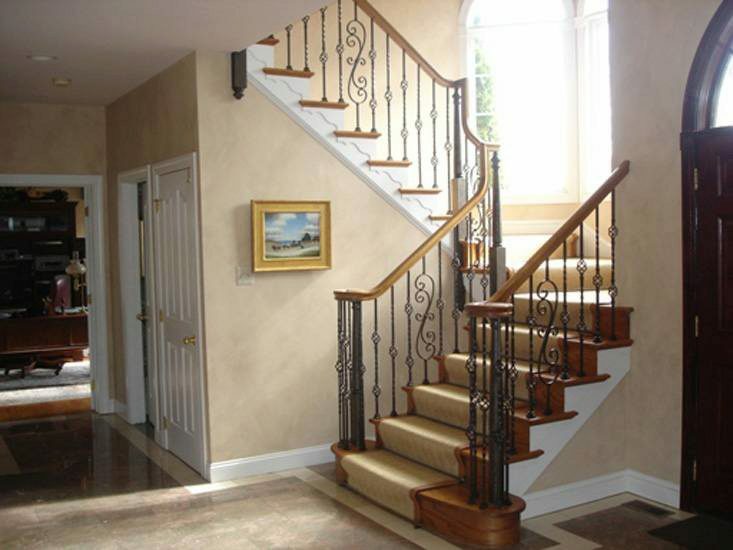 Further, this stairway features Scroll Series Iron Balusters along with Twist Series Iron Balusters. 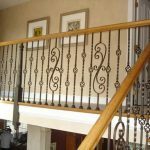 The treads stick out magnificently against the white stringers and the finished turned newels match the iron balusters. 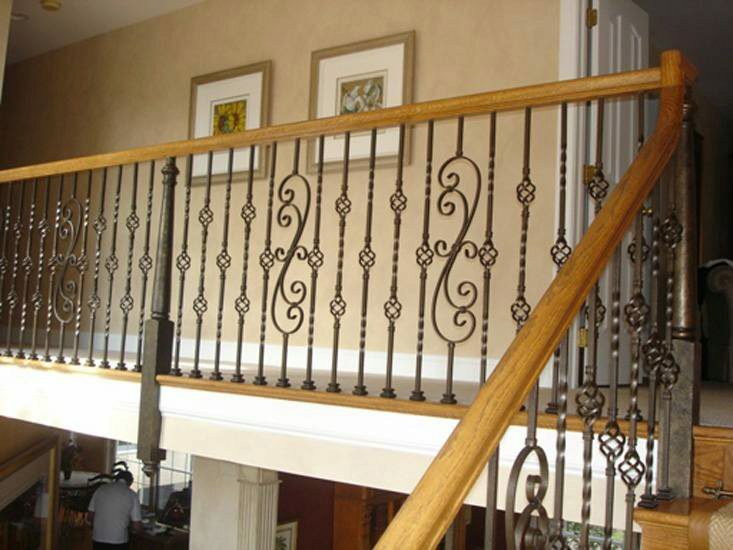 Click here to view your entire Wood Handrail Fittings offering.